Oni Dèls, the Drunk French Canadian is back! 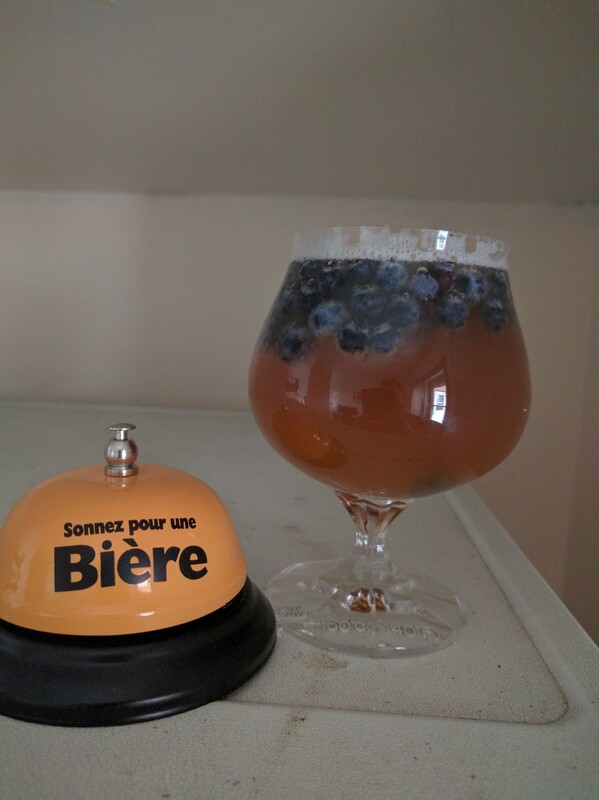 He had his own bièrcation recently with visiting the Maritime provinces and wanted to write a bit about some of his favourite beers he had on vacation, blueberry beers! Gather around kids (at heart.. because you know, beer), uncle Dèls is going to tell you a fabulous story. Actually, it’s not really fabulous. 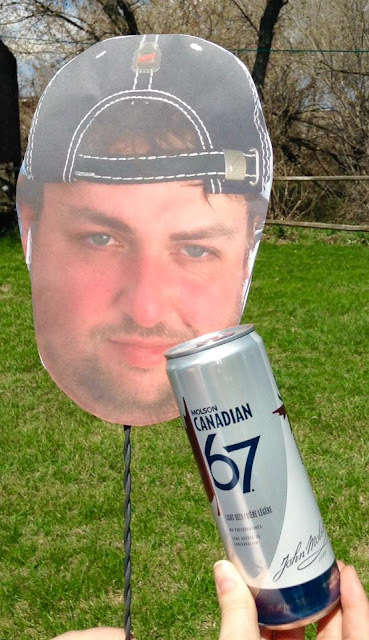 I did a 4 day road trip in the Maritimes just to go buy beers I didn’t have access to in my neighbourhood. 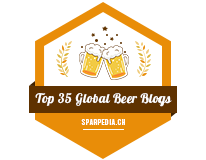 I ended up coming back home with 57 different beers, so I was glad my fridge was empty when i got back. Aaaaanyway, now I will pit Moncton, New Brunswick's Pump House Blueberry Ale against Charlottetown, PEI Brewing's Gahan House Blueberry Ale. First off, the main difference, aside bottle vs can, is that Pump House is a blueberry flavoured ale, while Gahan is a wheat ale brewed with blueberries. Of course both NB and PE are renowned for their blueberries, nice people.. and long bridges. The longest covered bridge is in NB and of course the confederation bridge that links PE to the mainland. But this is slightly off track. Pump House has a clear, crisp gold, with some nice bubbles. While Gahan has a thicker blonde orange/­amber and barely any bubbles. Pump House is very fruity, without being syrup­y or sugary. It doesn't have much of an alcohol taste, nor aftertaste, nor.. you know, taste of anything else but blueberry. It’s not a bad thing, but this is clearly a summer beer, made for hot, humid days. A beer you can easily drink 5 or 6 in a row without complaining. For the Gahan, with it being an unfiltered wheat beer, you have a nice cereal taste with a very subtle blueberry taste that is chase away by a nice aftertaste of alcohol. 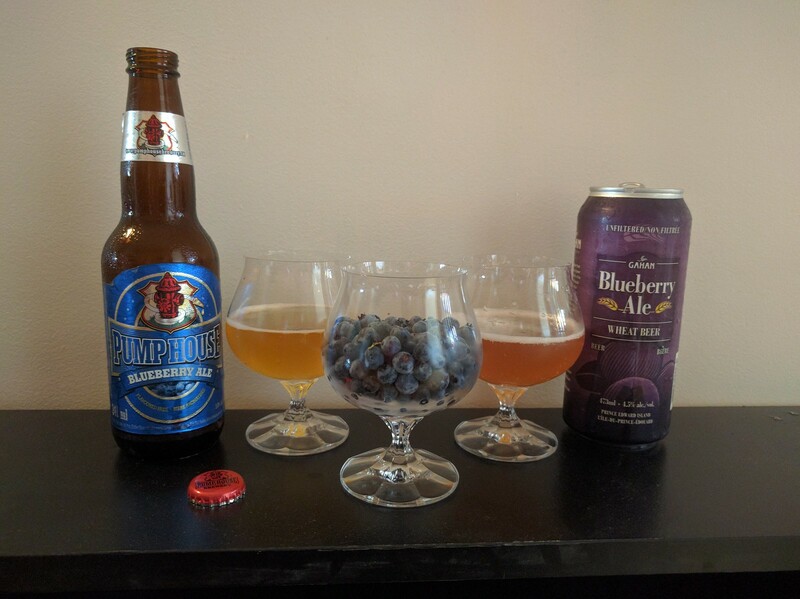 So all this being said, I’d say while the two beers are very different style of blueberry beers, they both have their pros and cons. Maybe you should check them both out and decide for yourself, but I rate them both 4 out of 5 pints. Although in the “right now”, I prefer Gahan’s. I guess I prefer the all natural vibe to it. So to settle this fight, I decided to pour both beers in a glass filled with actual blueberry, and this unholy alliance makes an awesome fruity cocktail akin to a bubble tea.. but with beer!